9)Save your Strategy as Templates. This features brings ease of use to load strategies at short amount of time. 10)Ability to change expiry dates if the expiry day is a holiday. 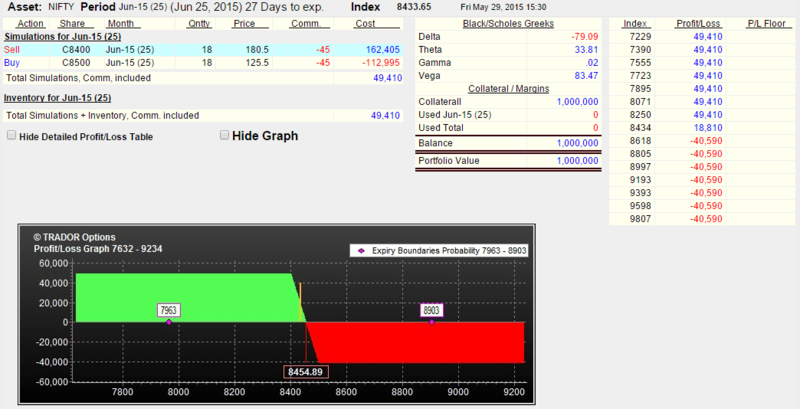 15)History View – A powerful tool that enables options trading exercise with real historical market prices. Only TRADOR has Eight innovative, Unique and Powerful Seek-Engines that seek millions of different mathematical variations, trying to find solutions that will meet Investor’s goals. Maximizing Gains, minimizing Losses, Delta neutral, Greeks-Between-Ratio, Burnout positions and optimizations are made easy and practical with these special algorithms, just by Clicking a button. Currently Trador Options provides 30 days free trial download and later they priced decently. 24 months license fee comes around 119 USD only. Trador Options provides bunch of trading tutorials some of them are listed below. Let me know is trador option tool is seriously powerfull or not. To my observation the tool looks helpful and friendly but the GUI looks pretty old age style if they improve the User Interface to HTML5 style the look and feel of the tool and the user experience factor will improve a lot. Overall Nice tool to try out. Let me know your experience down below. How to buy this software ? They should do something to show IVs of Options and HVs of the underlying as shown in Option Oracle Software. 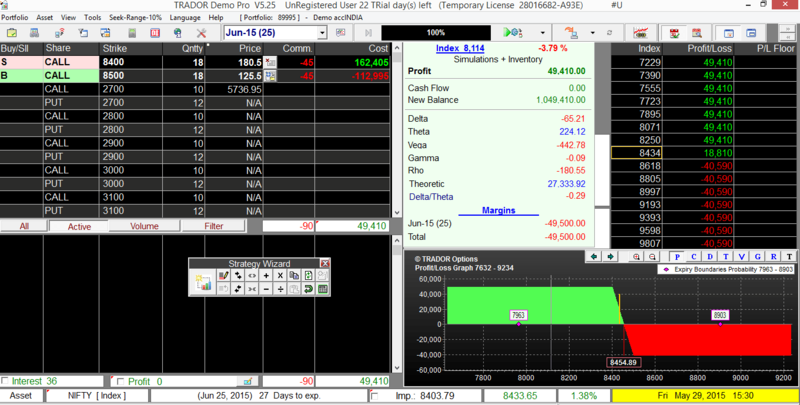 Also it will be nice if they can show Open Positions in the Portfolio like done in Option Oracle Software. This are the two main reason have not subscribed to their software after 30 days trial period. Also based on their email reply tried to place my Open Trades in their software but nothing worked, as explained in their email. Have also gone thru your 7 videos from their web-site but it did not help in the solving of above mentioned problems. Got any other software which fulfill your requirements? Kindly suggest a good reasonably priced , option trading platform/ software for building automatic strategy with mtm , risk reward ratio , profit and loss etc.. for desktop/web/mobile.